I'm sitting on the couch watching my Arkansas Razorbacks in the Texas Bowl. It is the first time this since school let out that I've pulled out my laptop and done anything at all work related. Even then, it is mostly fun and not "work." I have stopped by my classroom a few times, but only to feed the fish and water our seedlings. 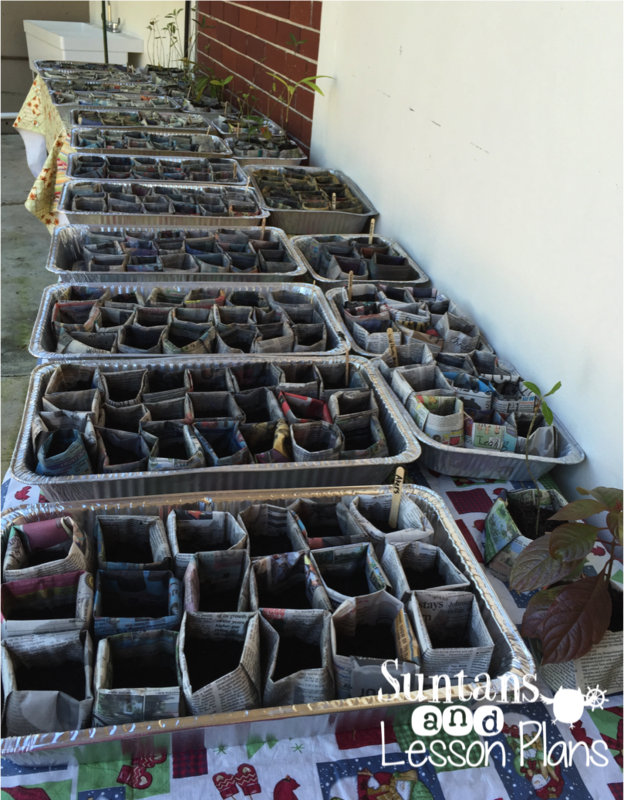 Newspaper pots, anyone? My husband and I splurged a few days before Christmas. We hired "The Maids" to come in and deep clean the house. It had to be one of my very best ideas ever. After that, I declared this to be the Christmas of no mess and no stress. Amazingly enough, it actually worked. I'm considering making 2015 the year of no stress and no mess. We'll see how it goes! If you follow me on Twitter or Facebook, you saw my big news. I'm still in shock! 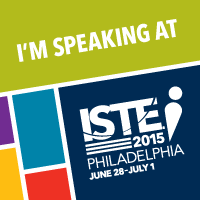 I submitted two proposals for ISTE 2015. My goal was to try for a poster session so that I could just attend the conference. My husband said that I was selling myself short. To humor him, I submitted a modified version of the session I did at the NCTM regional conference. On the day that resulted were announced, I had my Tweetdeck open and waiting for word that the notifications had been sent out. I was so sure that I was going to get a rejections that I didn't add to the "still waiting to hear" posts. I logged in to my account at 8pm to see that both proposals were accepted. I was left flabbergasted! Before then, of course is FETC. I had an amazing time last year. 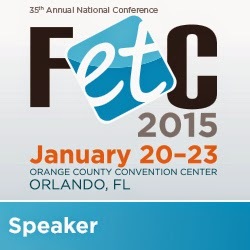 If you are going to FETC, so sure to check out this post. I first learned about the PBS LearningMedia Digital Innovator program at a session at FETC. If you are a teacher that is passionate about using technology in the classroom, I would highly recommend looking into this program. Happy New Year! My the rest of your break have no mess and no stress!